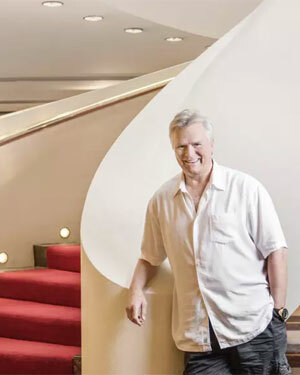 Thirty years after he rose to fame as a secret agent who abhorred guns, Richard Dean Anderson has described US gun lobbyists as "despicable". Known to many as Captain Jack O'Neil from Stargate SG-1, and to many more as Patty and Selma Bouvier's object of desire on The Simpsons, Anderson will be forever tied to his breakout role in MacGyver, the action adventure series that aired between 1985 and 1992. Anderson landed in Brisbane for OzComicCon, the pop culture geekfest taking over the Brisbane Convention and Exhibition Centre at the weekend. MacGyver famously eschewed guns for non-violent weapons, using his trusty Swiss army knife and everyday household objects to solve problems. 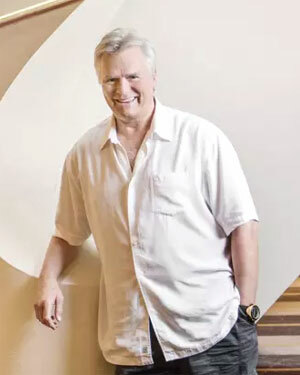 Anderson said MacGyver actually raised the ire of the National Rifle Association which called on Americans to boycott the show for promoting an anti-gun agenda. "All it did really was help our cause, because it drew attention to us and we got a bigger audience," he said. "I couldn't have been prouder than to be on the NRA's hit list because ... there's some pretty despicable attitudes coming out of that organisation." Rumours still fly that a MacGyver feature film is in the works, although Anderson said he hadn't been approached. But he ponders whether the digital age would leave a nuts and bolts man like MacGyver up the creek without (a plank of wood and whittling knife to make) a paddle. "You've got a cellphone, why do you need a tin can and a string?" he said. "He'd probably end up taking them apart to utilise the innards somehow. Probably to make a phone of some kind to communicate." It's been a long time since Anderson sported the blonde mullet so iconic to the MacGyver character, and while he doesn't miss it, said he was glad he had it at the time. The father-of-one admitted to enjoying the fruits of a worldwide smash hit series during the hedonistic 1980s. "I'll be honest with you - I had a lot of fun. A lot of fun," he said. "In the early 70s, through the 80s and 90s, I had a ball ... we could get away with anything. "I was of an age where imbibing was fine, nobody was suffering any ill effects of some casual, what do you call it, rendezvous-ing ... it was all OK."
MacGyver was one of the journeyman hero-style of 1980s action shows, alongside contemporaries such as The A-Team, Knight Rider, Automan, Street Hawk and Manimal. But Anderson said MacGyver's thinking man hero stood apart. "That was unique to television at the time, there hadn't been a ... reluctant hero to come across the screens," he said. "Once we knew we had an audience of followers we started exploring more profound subject matter - teen runaways, the black rhinos, conservation issues. "I don't think we got too preachy with it, but we certainly examined them in fairly entertaining ways, and that's a fine line to find, and for that reason I'm pretty proud of the franchise." Video of the radio broadcast of Richard's interview is available in the Video Gallery c/o the Brisbane Times. Bochenski, Natalie. 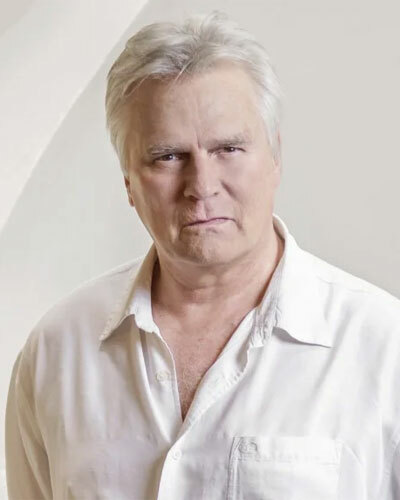 "No Guns But a Lot of Fun: Richard Dean Anderson on MacGyver." The Brisbane Times. September 18, 2015.